Necessity Squared FZ LLC will be launching several key brands in heat transfer printing solutions to the international audience on their stand (1C5) at Gulf Print & Pack 2019. Ghost Toner is a German brand that has introduced three unique product lines: Ghost White Toner, Ghost Sublime Toners and the Ghost Neon Toners. 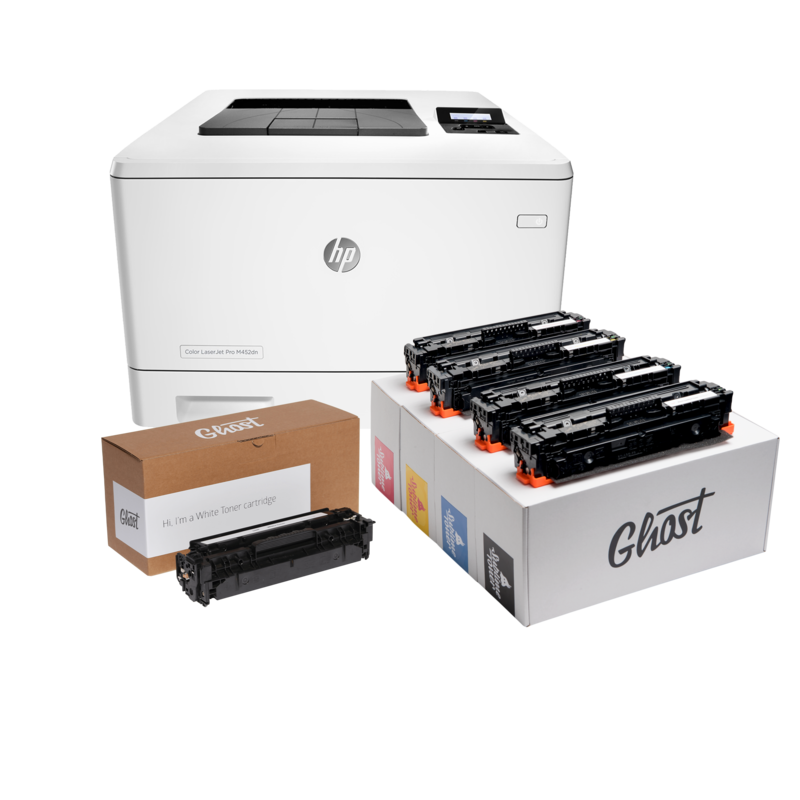 Ghost White Toner is best known for offering white toner cartridges for various office laser printers. By replacing the black toner cartridge with a Ghost White Toner, customers can transform their laser printer into a white toner printer. Sublimation printing technology was only available on inkjet printers, but now with Ghost Sublime Toner, customers can easily transform their laser printers into a sublimation printer by replacing the standard CMYK toner cartridges with a set of Ghost Sublime Toner CMYK. Designs such as photos, vector graphics and logos, printed on plain copy paper can now easily be transferred to sublimation-friendly surfaces. No special software or transfer paper is required for sublimation printing with Ghost Sublime Toner. Ghost Neon Toner can be used as spot colour in combination with regular cyan, magenta, yellow and black toner as well as with Ghost White or Ghost Fluo White Toner for printing on dark media. Neon prints look great under normal light and have a fluorescent glow-in-the-dark effect under black light. Neon Toner can be used to create stunning stationery for bars, nightclubs, fashion events, menu cards, business cards, shows, venue tickets, security documents and other special occasions. Eray Aluminum Sublimation Plates is a Turkish brand that will also be launched at the show, with a wide variety of colours, ideal for many applications such as plaques, trophies, interior décor panel, badges and more.